Bonus Key Qualifying Criteria: New customers only. Over 18's Only. Deposit and stake up to £25 to get a Free Bet to the value of your stake. Unspent balance of free bets will expire after 7 days. Full T&Cs Apply. NOTE: Should your stake lose, Totesport will refund your stake as a free bet up to £25 within 48 hours. If it wins you will receive no free bet. There are no wagering requirements for any winnings on the free bet. Winnings can be withdrawn as cash. Totesport has one of the more intriguing histories of all the online sportsbooks in that its origins were as a UK Government institution. Originally launched in 1928 as the Horserace Totalisator Board (now there’s a snappy name to get your adrenaline flowing!) the Tote, as it soon become known, was a Government owned bookmaker up until 2011. Now under the private ownership of the mighty Betfred, and trading under the revised moniker of Totesport, the company retains an estate of over 500 high street betting shops and the exclusive rights to run pool betting on horseracing in the UK. Totesport’s online sportsbook is managed by Betfred’s remote gambling service based in Gibraltar, and also maintains the necessary UK Gambling Commission licence to allow it to offer its online services to UK residents. Bonus Key Qualifying Criteria: New customers only. Over 18’s Only. Deposit and stake up to £25 to get a Free Bet to the value of your stake. Unspent balance of free bets will expire after 7 days. Full T&Cs Apply. NOTE: Should your stake lose, Totesport will refund your stake as a free bet up to £25 within 48 hours. If it wins you will receive no free bet. There are no wagering requirements for any winnings on the free bet. Winnings can be withdrawn as cash. Totesport has many sections covering most sporting events that are happening around the globe 24/7. Totesport provides a stats service. See Totesport site for details on Totesport Cash Out. 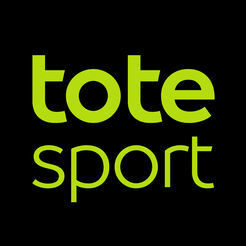 See Totesport site for details on Totesport In-play Betting. See Totesport site for details on Totepool Cashback Club. See Totesport site for details on Totesport Price Boost. See Totesport site for details on Totesport #PickYourPunt. Expecting a simple reskin of Betfred’s sportsbook site, we were pleasantly surprised to find Totesport has its own look and feel. Green and black dominate the colour scheme here, and it all works rather nicely. The main action is subdivided into Sports, In Play and Totepool tabs (of which more shortly), and each section presents neat sub menus to help you quickly navigate around. Naturally, given this company’s history in the sport, horseracing has prominence on the Sports and Totepool tab but there’s a very extensive menu of alternative pursuits to punt on and thousands of markets flowing from that. You certainly won’t have any shortage of options to rummage through there, and that rummaging is made all the more pleasurable by good navigation and a logical layout. Bet selection and placement follows the familiar flow of clicking advertised prices you like to stick them onto the interactive virtual Bet Slip that hangs on the right hand side of all pages. A slight criticism is that In Play bet buttons you select aren’t highlighted nor toggle to alternately select or cancel the offer on your Slip as we’ve seen on rival sites, but this is just a nicety and doesn’t materially affect the general ease with which your custom selections can be assembled then placed. Nice touches? Well, as part of Betfred, Totesport can also offer custom markets if you can’t find what you want. Tweeting @betfred with your requested punt and the hashtag #PickYourPunt sets its traders on the case to price it up then post the market to Totesport’s Pick You Punt list. We do like this option. Also, mentioned earlier, Totesport is a unique destination for pool betting on on UK and Irish horseracing so if whopping jackpot opportunities from frugal bets takes your fancy, then its Totepool options should certainly whet your whistle. Totesport offers an iOS app and an Android app but it’s just as easy to play on your Smartphone’s browser. You can watch your favourite sports live on iPhone, iPad & Android. Totesport offers excellent 24/7 support, 7 days a week. Totesport uses Email, Phone and Post. Totesport has some crossover with its stable mate, Betfred, yet does maintain its own identity and the lure of its pool betting as another distinctive offer. It’s no gamechanger when it comes to comparison with rival sites, but when all you want is a solid dependable service, with competitive prices from a brand you can trust, Totesport can certainly tick all those boxes.